THE unprecedented huge number of independent candidates emerging from both the ruling Zanu-PF and the opposition MDC Alliance has reportedly unsettled President Emmerson Mnangagwa and his MDC Alliance counterpart, Nelson Chamisa ahead of next month's general elections. Both Mnangagwa and Chamisa, widely perceived as front-runners in the presidential race, are reportedly at sixes and sevens on how to manage the so-called "rebels" eying parliamentary and council seats. This comes amid reports that the "rebels" have defiantly embarked on parallel campaign programmes using own-sourced regalia, but with the same parties' colours and logos, a move likely to confuse voters and divide votes for the parties' chosen candidates. Early this week, both Mnangagwa and Chamisa issued ultimatums for the rebels to withdraw their candidature or risk expulsion. Mashonaland Central Provincial Affairs minister Martin Dinha (Mazowe North) and Noah Mangondo (Murewa South) lead a cast of disgruntled Zanu-PF cadres, who have forced their way into the elections defying a party directive to stand aside. Dinha reportedly forced Mashonaland Central Zanu-PF provincial chairperson Kazembe Kazembe to sign his nomination papers, while Mangondo also defiantly filed as an independent to contest against Joel Biggie Matiza in Murewa South constituency. Former Mines minister Walter Chidhakwa (Zvimba South), Biata Nyamupinga (Goromonzi West) and Zalera Makari (Epworth) also joined the long list of aspiring MPs who controversially lost in the Zanu-PF primary elections, but went on to register at the nomination court as independents. Others are Darlington Chiwa (Chiredzi West), Pascal Mudzikisi (Masvingo North) and Michael Taderera (Masvingo Urban). On the other hand, Chamisa's MDC Alliance faces even more complex problems after it emerged that many of the independents' nomination papers were signed by his close MDC-T lieutenants, leading to double nominations in a number of constituencies. Chamisa's shaky pre-election pact fielded two candidates in Bikita East, Gutu West, Gutu North, Gutu Central, Masvingo South, Zaka West all in Masvingo province. Yesterday, MDC-T national chairman Morgen Komichi had given his party's renegades until the end of day to halt their campaigns and withdraw their candidature, but his directive went unheeded. "All MDC Alliance members who registered to stand in the elections as independents in House of Assembly and council elections are advised to withdraw their nominations with Zec. Wednesday is the deadline for you to withdraw. I believe all loyal MDC-T cadres will act positively to this lawful instruction. Failure to withdraw by tomorrow (yesterday) the party will be forced to take appropriate action," Komichi said in a statement. 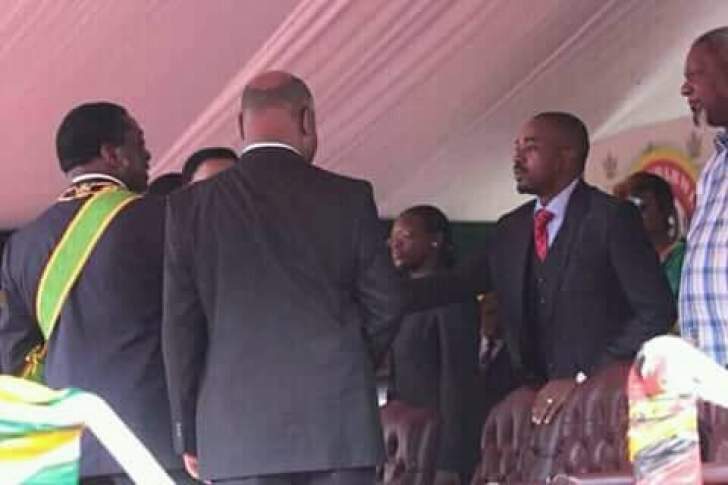 The opposition alliance has been tottering on the brink amid accusations that Chamisa had allowed double nominations to spite his partners' "weak" candidates. MDC Alliance spokesperson Welshman Ncube early this week admitted the MDC-T had ridden roughshod over its partners and wrested allocated constituencies and virtually all local authority seats. The chaos that followed led to the failure of the alliance to present a candidate in Insiza North, reportedly fielding a weaker candidate in Masvingo Central as well as the loss of at least 90 council seats to Zanu-PF by default. Komichi said the issue of double nominations was a phenomena they were grappling with. "We are investigating the issue to come to terms with what really happened. We have set up a team and it is already on the ground and we intend to take corrective actions," he said. Komichi, who doubles up as the MDC Alliance chairperson, confirmed an indaba will be held next week to thrash out issues, but by then the legal window for withdrawal of candidates would have closed. "The organising department has called for a meeting of all candidates who lost in the party's primaries. The meeting will be held next Monday. They should come and meet the party's leadership. "The purpose of the meeting is to assure them that the party will not abandon them. We cannot all be winners, but there are a lot of positions in both party and government if we win in the forthcoming elections," he said. "Last Monday, we met with the winning candidates, those who have successfully filed with the nomination court to represent the party in many constituencies." The MDC-T chairperson denied allegations that disgruntled members were forced to register as independent candidates after the party leadership imposed its preferred members against popular candidates. "The leadership was not anywhere near the constituencies when the primary elections were conducted. We never imposed candidates," Komichi said. The MDC Alliance fielded double candidates in many constituencies around the country; with Bikita East and Harare South among others, having two alliance partners fighting against each other. Zanu-PF secretary for administration Obert Mpofu also warned that defiant party members standing as independents could face expulsion. "The position of the party is clear, such acts are unconstitutional and illegal and cannot be condoned by the party. We want to urge those doing so to stop forthwith. "We are going to institute legal action against such conduct. According to the constitution, once a person stands as an independent candidate against the party you belong to, you are automatically expelled from the party. You cannot be contesting your own party," Mpofu said. "They have two options, to stick to their decisions to stand as independent candidates, but stop using Zanu-PF symbols or they respect the party's rules and withdraw their candidature." Mpofu said he was receiving reports on the number of candidates who opted to run as independents for both parliamentary and local government seats. He, however, said others were heeding the party's call and withdrawing. "Those who defy the party's decision will face the wrath of the party. The option is theirs. Some of them are very senior and respected and should do the honourable thing and withdraw. "That's not the end, they will have to support those who won and contest in future elections. Those who fail to withdraw will have expelled themselves from the party and they know the consequences. It is a rigorous process to be readmitted back in the party," he said. Mpofu denied that the party was responsible for the decisions made by the candidates to file as independent after ignoring their concerns regarding the "unfair" conduct of their primary elections.